The official world women’s rankings have been updated for the final time in 2018 as the season reached its midway point following victory for Reanne Evans at the Eden Women’s Masters last weekend. The WLBS world rankings operate on a rolling two-year basis, with points earned during 2016/17 to be removed during the course of this season. 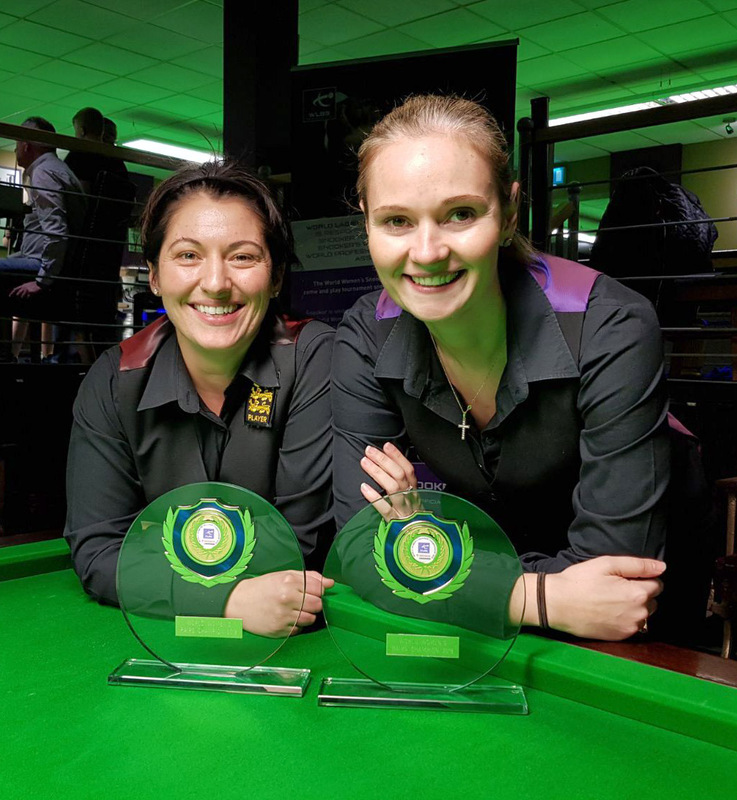 At this revision, points earned at the 2017 Eden Women’s Masters (Derby) were removed from the ranking list and replaced by those earned at this year’s event held at the South West Snooker Academy in Gloucester. Reanne Evans has closed the gap to Hong Kong’s Ng On Yee to 7,050 points following her record fifth triumph at the Eden Women’s Masters last weekend. 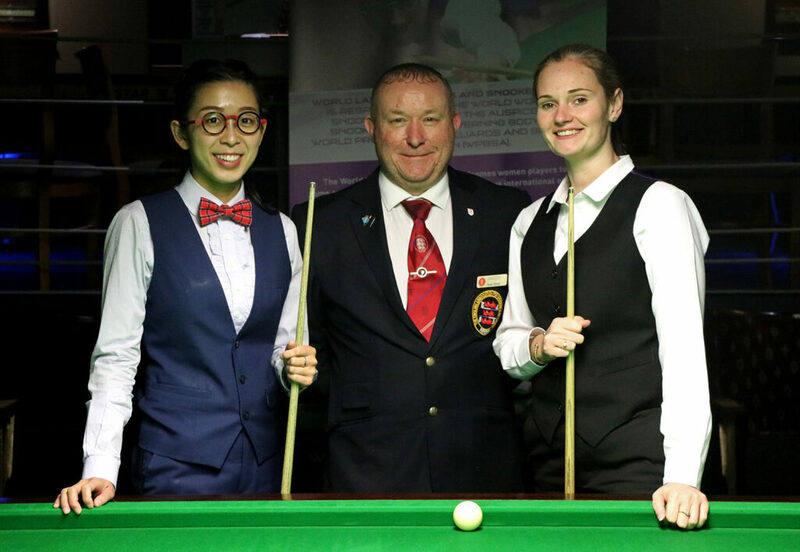 Having entered the event 10,800 points behind her Asian rival, Evans duly maximised her opportunity to home in on the current world number one with On Yee not competing at the tournament. Interestingly, although she claimed the maximum 7,500 points on offer by taking the title in Gloucester, the gap between the top two has only narrowed by 3,750 points as we head towards the Christmas break. This is because Evans was defending maximum points at the corresponding event in January 2017, while On Yee only reached the quarter-finals of that event in Derby, meaning that she had fewer points to defend at this update. With 10,400 more points to defend than Evans between now and the end of the season however, On Yee must have a strong finish to the season if she is to retain her number one ranking next summer. Elsewhere there was a new entry to the top 10 as Emma Parker climbs four places to 10th following her maiden semi-final appearance in Gloucester. The 19-year-old replaces Aimee Benn, who herself had a positive weekend reaching only her second quarter-final, but was defending last 16 points from two seasons ago. With no points to be removed from her total however, having not competed in the corresponding event in January 2017, Parker gains 3,750 points as she continues her rise up the ranking list from 22nd position 12 months ago. In fact only six players have earned more points than her so far this season meaning that if she can maintain her current form then she has a real chance to rise further still. Otherwise the top 10 remains stable, players including Rebecca Kenna (3), Laura Evans (6) and Suzie Opacic (7) consolidating their positions having all reached the quarter-final stage or better at the Eden Women’s Masters. Outside of the top ten, there are career-high positions for Hong Kong trio Ho Yee Ki (12), Fong Mei Mei (17) and Pui Ying Mini Chu (18), who despite not competing in Gloucester have gained positions because they were not defending points from 2017. 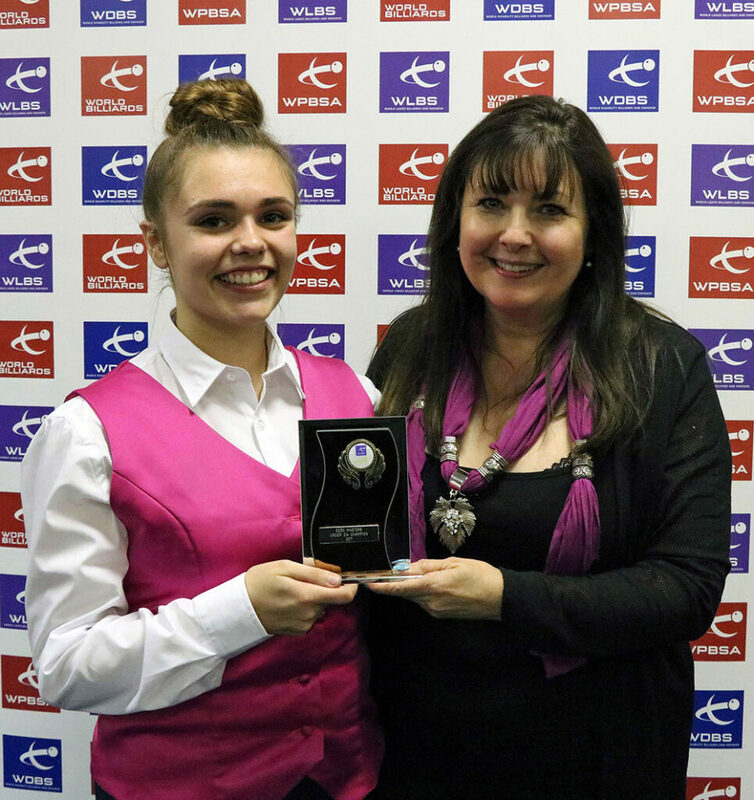 Also setting a new high watermark in their respective careers are players including Chloe White (22), who reached her first quarter-final at the weekend and Jackie Ellis (23), after she reached the knockout rounds for the first time. A little further down the list both Yvette Greenway (39) and Connie Stephens (40) have broken into the top 40 for the first time having also made it through to the last 16, while there are three new entries on the list as the circuit continues to expand. With players on the rise it is inevitable that others have dropped down the list, most notably So Man Yan (24) who is down seven places following the expiration of her points from reaching the final of the event two years ago. Others to have slipped down are Jenny Poulter (down four) and notably Vicky Shirley, a quarter-finalist in Derby who has played only one event since which sees her drop to 90th position on the latest list. For the second time in three events there is a change at the head of the under-21 rankings after Shannon Metcalf captured her first Under-21 title to reclaim top spot at the expense of Emma Parker. Stephanie Daughtery consolidated third position after an impressive win against Parker at the semi-finals stage of Gloucester’s junior event, although she would ultimately finish as tournament runner-up to Metcalf. The World Women’s Snooker Tour will return in 2019. The World Women’s Snooker Tour will return this weekend with the LITEtask UK Women’s Snooker Championship in Leeds and with the draws for the tournament now out, today we take a look at a few of the key themes to follow throughout the event. 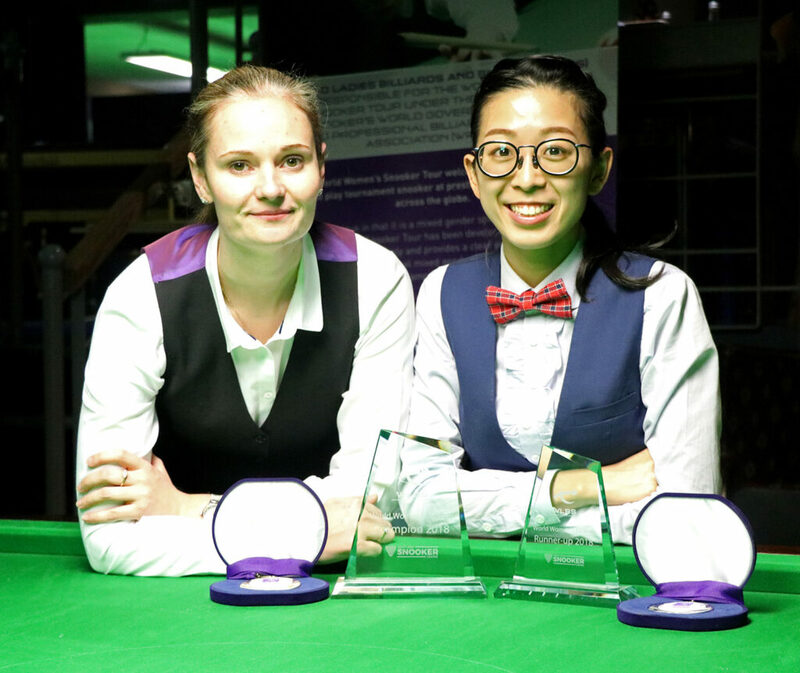 Having shared last season’s silverware between them, current world number one Ng On Yee and 11-time world champion Reanne Evans will once again head into the tournament as the players to beat. On Yee, who last season won the event for a third time with a 4-1 victory against Evans in the final, will be looking to extend her advantage at the top of the current world rankings with the gap currently standing at 5,850 points at the close of last season. In fact, with Evans defending maximum points from the corresponding event two years ago when she defeated On Yee in the semi-finals, the Hong Kong player will only need to complete her first match to guarantee retaining top spot following the event. Record eight-time UK champion Evans however comes into the event having won three of the past four singles competitions on the tour and with 5,450 fewer points to be removed from her total during the course of this season will be keen to start closing the gap this weekend in Leeds. With the top two seeded through to the knockout rounds the remaining 26 players will contest Saturday’s group stage with the top two guaranteed to progress from each of the seven groups. There is a real feeling of variety to this event with nine of the world’s top ten joined by five players who will be making their first appearances on the women’s circuit in Leeds, including players from the USA and Thailand. Group A is headed by two-time UK Championship semi-finalist Suzie Opacic who will be aiming to go one match further this weekend and reach the final for the first time. The current world number seven will be joined by Thailand’s Nutcharut Wongharuthai, fresh from her appearance at last week’s SangSom 6-Red World Championship in Thailand, as well as Elizabeth Black and Heidi De Gruchy. 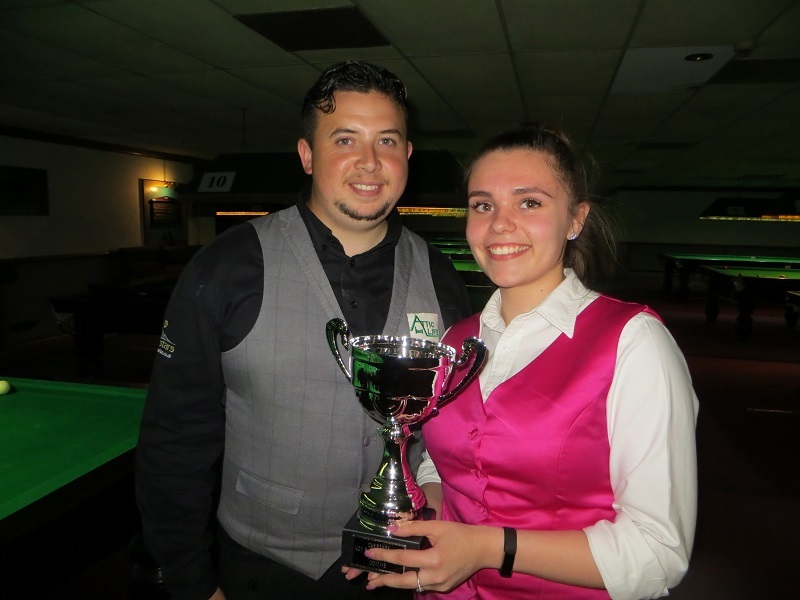 Grimsby’s De Gruchy will be making her return following a year off the tour since the corresponding event in 2017 at which she qualified for the knockout stages for the first time before losing out to Reanne Evans. Over in Group B we have a real mix of youth and experience with top seed Aimee Benn joined by fellow junior Steph Daughtery and seniors competitor Dorothée Rapp of Germany. 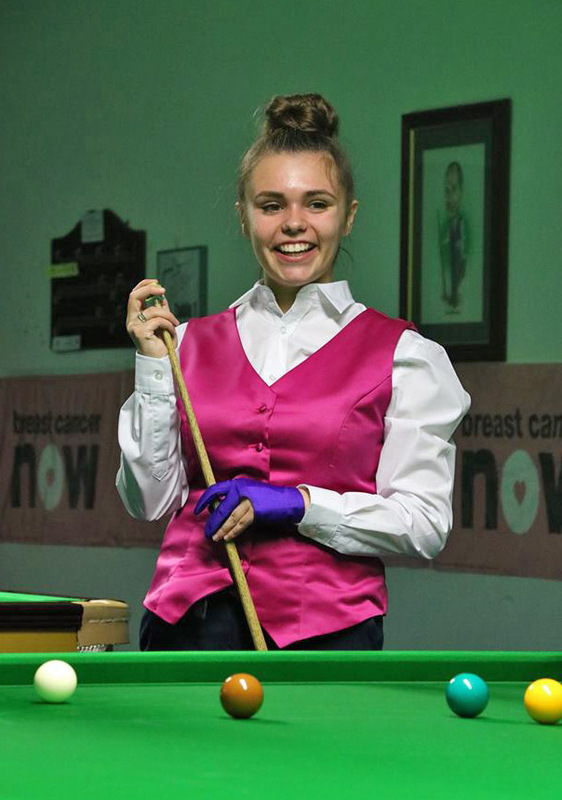 The group is completed by Hull’s Kate Longworth, the first of five debutants at the Northern Snooker Centre. On paper one of the most eye-catching groups is Group C which will see world number four Rebecca Kenna looking to progress beyond the quarter-final stages of this event for the first time. She will be up against former world women’s under-21 champion Emma Parker, Claire Edginton and Thai debutant Ploychompoo Laokiatphong. Coached by professional player Mike Dunn, the Thai youngster is well-regarded as a player and like each of the newcomers this weekend, a welcome addition to the circuit. Two players from Hong Kong have found themselves paired in Group D with world number six Katrina Wan paired with compatriot Ho Yi Kee. Joining them will be two-time under-21 event winner Chloe White and 13th ranked Shannon Metcalf. The final four-woman group is Group E with 2012 champion Maria Catalano its seeded star. Winner of the Connie Gough Trophy in 2017, Catalano is the last player other than Ng On Yee or Reanne Evans to claim silverware on the circuit and will of course look a little different this weekend following the completion of her ‘brave the shave’ challenge on Friday evening. 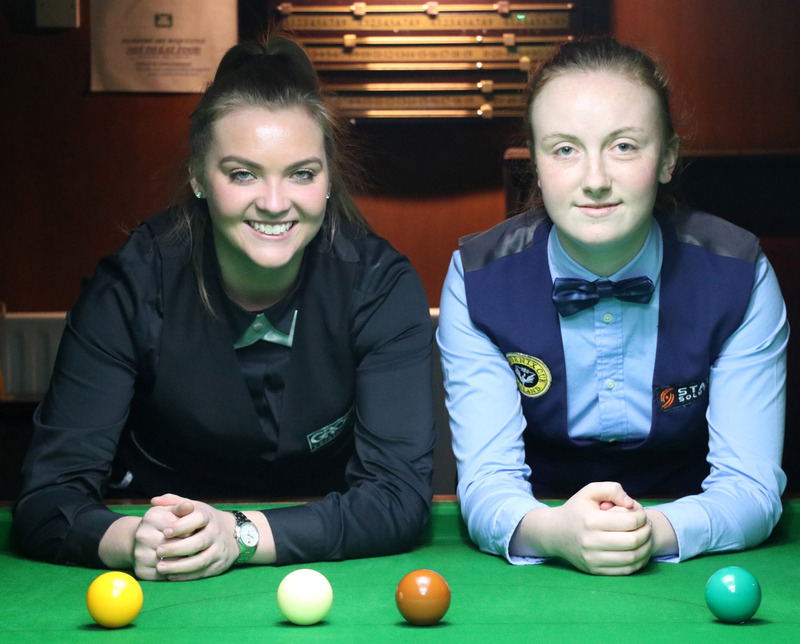 Set to challenge her on the baize will be Maureen Rowland together with two more newcomers to the circuit in the form of Jessica Connolly and Frances Eames Noland, the latter becoming our first active player from the United States of America. There is also an international flavour to Group F with Germany’s top ranked player Diana Schuler set to be joined by former world number three Jaique Ip Wan In of Hong Kong and England’s Jackie Ellis. Lastly, Group G is headed by the experienced Jenny Poulter, who will take on Connie Stephens and our final newcomer for this event, Michelle Baker. 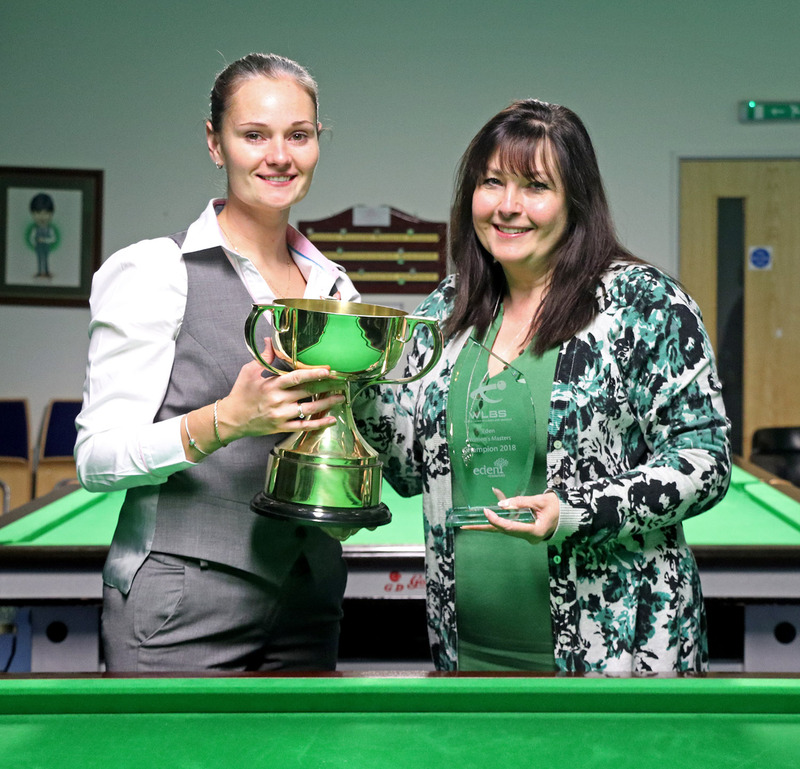 The wife of World Disability Billiards and Snooker player David Baker, Michelle has caught the snooker bug and will be looking to make a name for herself starting in Leeds. The weekend will also see side-events played across both days of snooker. The under-21s competition will see eight players begin at the quarter-finals stage in a straight knockout draw with Shannon Metcalf and Emma Parker kept apart as the top two seeds based upon their positions on the current Under-21 ranking list. 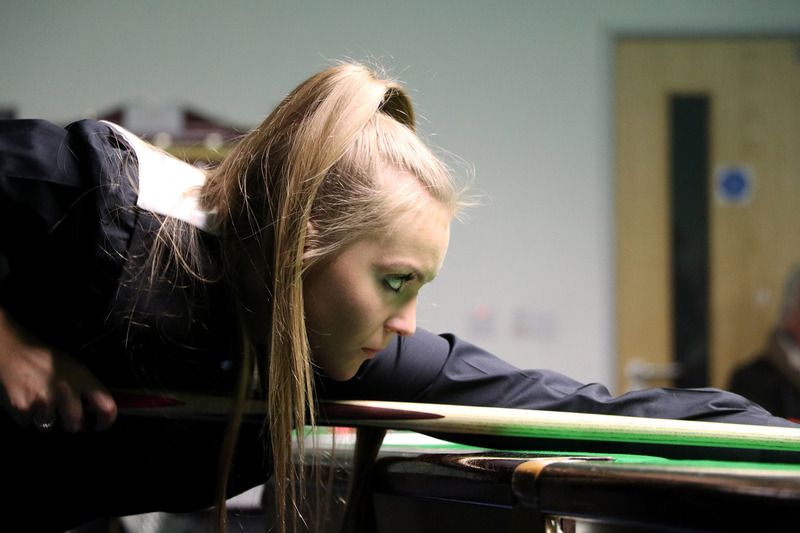 First up for home player Metcalf will be a clash with Claire Edginton with either Chloe White or two-time UK under-21s champion Steph Daughtery awaiting in the semi-finals. In the bottom half of the draw Parker will begin her defence of the title that she claimed a year ago against Aimee Benn, while there will also be an all-Thai clash between Nutcharut Wongharuthai and Ploychompoo Laokiatphong. With six entries received into the seniors competition, both Jenny Poulter and Jackie Ellis have been randomly drawn straight through to the semi-finals and will each await the winner of a preliminary round match. Playing for the right to face two-time defending champion Poulter will be last year’s runner-up Maureen Rowland and Germany’s Dorothée Rapp, while Yvette Greenway faces newcomer Michelle Baker in the bottom half of the draw. In addition to these two side-events there will also be a Challenge Cup tournament held for players who have not qualified to play during Sunday’s final stages. 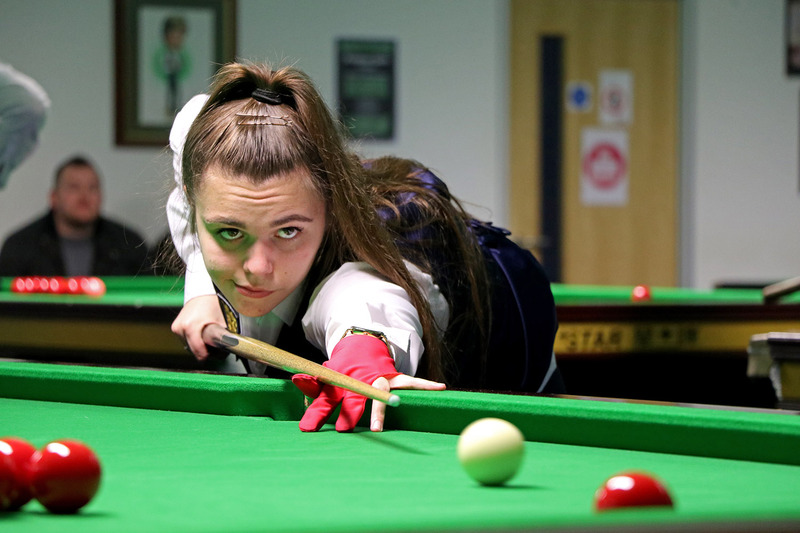 As always, the latest results and draws from the 2018 LITEtask UK Women’s Snooker Championship will be available to view throughout the weekend at MySnookerStats, with regular updates and photos to be posted at our Facebook and Twitter pages. 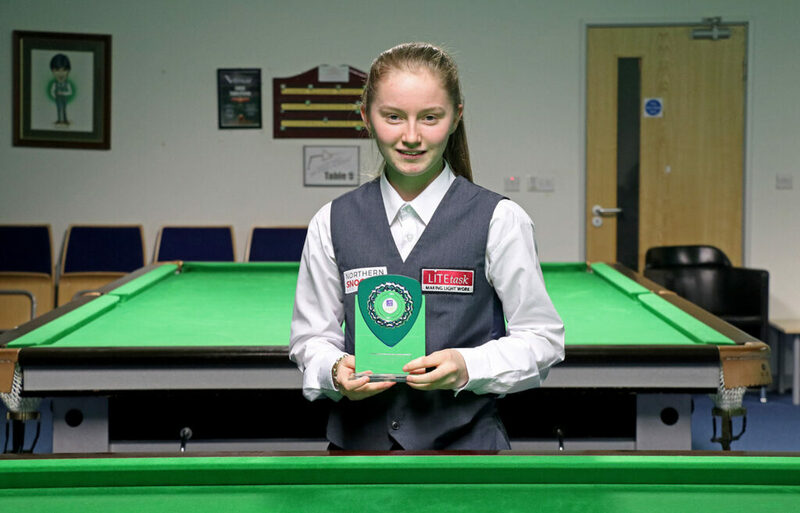 In our latest Q&A today we catch up with Havant teenager Chloe White, following a successful first full season on the World Women’s Snooker Tour which saw her complete the successful defence of her Eden Masters Under-21 title in Gloucester and rise to a career-high ranking of no.26. Hi Chloe, you have just completed your first full season on the World Women’s Snooker Tour, how do reflect on the year? I’m pleased to have broken in to the top 30 this season. I went into the WLBS events with no expectations and just wanted to see how far I could get in the tournaments, so I feel as though I have settled in well by managing to win two Eden Masters under-21 tournaments. Hopefully I can progress further next season in the main competitions, as well as in the under-21s. Are you happy with the improvement in your game over the past 12 months? Yes, I feel as though my game has become more consistent over the last season due to playing the various players throughout the WLBS tour. Through watching and competing against the better players, such as Reanne Evans and Ng On Yee, it allows me to witness areas in my game that I need to improve on so that I am able to compete with them in the future. 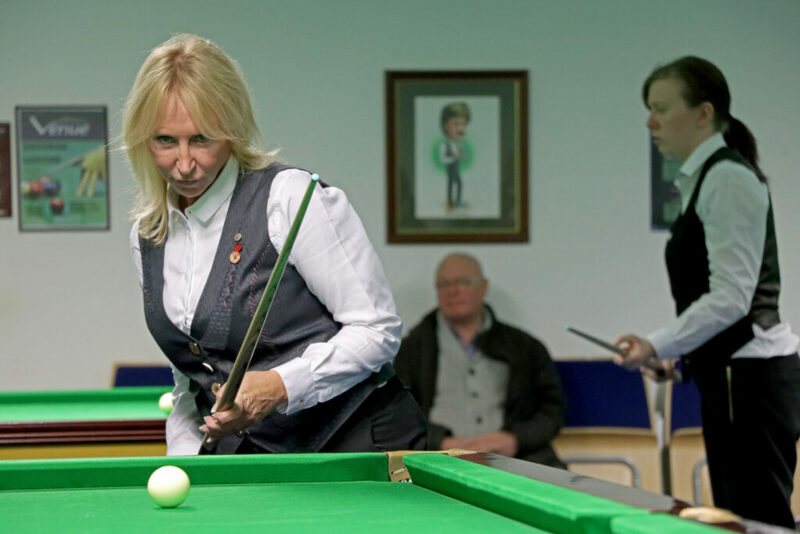 You have also had success in other regional events recently, including the West of England Billiards and Snooker Foundation (WEBSF) Ladies Open and mixed gender Cuestars events. How important is it as a young player to continue gaining experience like this? Through playing in various regional events such as Cuestars and WEBSF it has allowed me to gain additional experience which I can take into my matches in the WLBS. I feel as if it is important for young players like me to carry on gaining experience from competing in these events as it allows us to potentially compete at a higher level in the future. You are also playing and beating men in these competitions. What can you learn from playing against men and do you think it is possible for a woman to be as good as the male players? Through playing men in competition or even during practice, it allows for different competition alongside the women’s game. Through playing a variety of players, it allows my game to improve due to playing many different styles of both men and women. It is an advantage to have my boyfriend (Mark Lloyd) who plays; practising with him allows me to prepare myself for upcoming tournaments. Women can be as good as men, so hopefully there will be more women who take up snooker in the future. How did you become interested in snooker and what made you start to play the game seriously? I became interested in snooker initially through my dad, who took my brother to the local snooker club where they played. I then found out that there was a snooker section where I then began to play in competition against other players. Through my game progressing, I then discovered further events, such as Cuestars and WLBS, and now I’m looking to build on that to see how far I’m able to get within the game. What is the best thing about being a women’s snooker player? The best thing about being a women’s player are the different opportunities within the game. As the women’s game is developing, it is good to be part of this progression; competing on the tour with the other players. What snooker ambitions do you have, both for the next 12 months and also longer term? I have never set myself targets but I’m just hoping to achieve the best I can within the game. It would be nice to progress further in the tournaments in the main competitions as well as possibly achieving a few more under-21s titles while I’m still within this age bracket. I’m just hoping to progress to the best I can be. With more and more tournaments taking place outside of the UK, are you excited by the opportunity to travel alongside your snooker career? I believe it is a great opportunity for us to have the chance to be able to compete outside of the UK. I’m hoping to travel to these tournaments within the future and am seeking sponsorship to allow me the chance to be able to compete in these tournaments. Current world number 7 Suzie Opacic is another player from your region, how much support has she provided to you? Suzie welcomed me into the WLBS after telling me about the organisation. Suzie made me feel a lot more welcome to the tour as it’s always nice to know somebody when competing first time. Suzie is lovely and I am glad to know her off of the tour as well. From that, it has allowed me to meet the other competitors as well as to compete with them. You are also one of our most stylish players, with your unmistakeable pink waistcoat – do you have any other fashion surprises for us next season? Well I needed something to make me stand out 😉 The fashion should stay the same but I’m sure there will be some slight changes for you to keep an eye out for! What you would say to any women players thinking about playing a WLBS event? There are great opportunities for women to enjoy playing the sport in which they love against other women from across the world. The tour is very welcoming with many great characters that you have the opportunity to compete against. With the game progressing, it would be great to see more women players coming through to promote the sport further; showing its popularity within the UK as well as abroad. It would be great to see the women’s game become more popular (alongside the increase within the professional game) and hopefully more women will be interested in joining this welcoming organisation. Chloe will be among the players returning to the World Women’s Snooker Tour for the start of the 2018/19 season. Three events have already been announced beginning with the UK Women’s Championship in September, with the details of up to five further events to be confirmed. If you would be interested in sponsoring Chloe please contact us for more information. Photo of Chloe and Billy Castle from Cuestars. 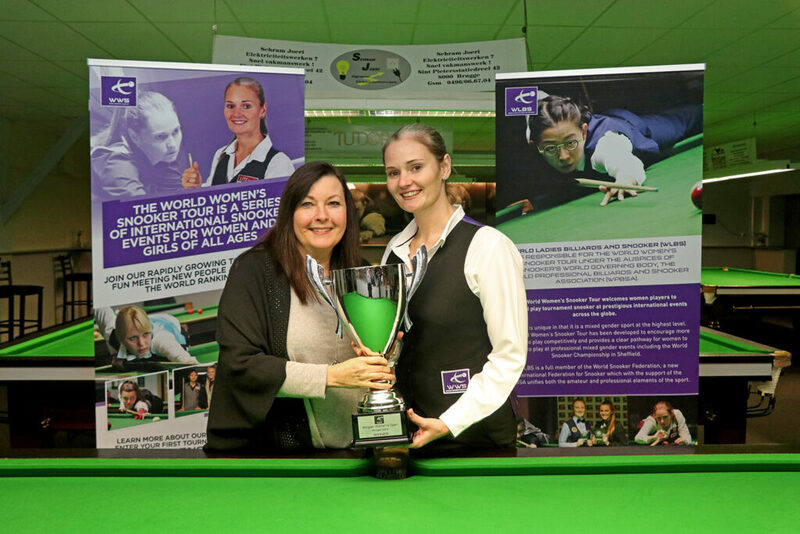 Reanne Evans was the big winner at the 2018 Festival of Women’s Snooker as she left undefeated to capture three of the five titles on offer at the Northern Snooker Centre in Leeds, England. 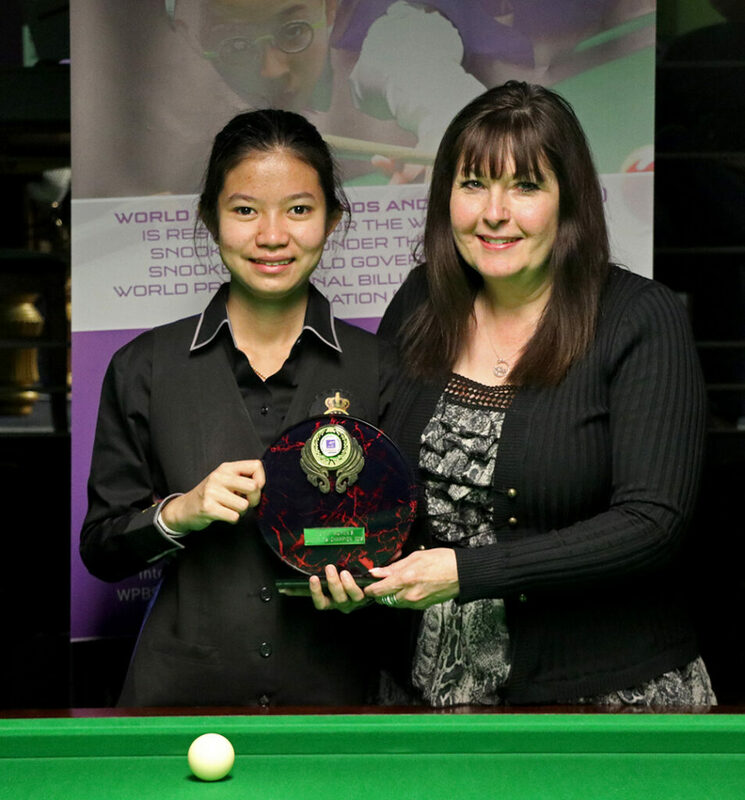 As the curtain fell on the 2017/18 World Women’s Snooker Tour season, it was the 11-time world champion who emerged victorious in the weekend 10-Red and 6-Red ranking events, before adding the Pairs Championship alongside Maria Catalano to bookend another successful season with her third title of the Festival. There was a familiar opponent for Evans in the finals of both the World Women’s 10-Red and 6-Red Championship events as she faced Hong Kong’s Ng On Yee, who was looking to defend both titles after her victories at the events in 2017. This time however it was Evans who having impressed throughout the weekend first recorded a 4-1 success to win the 10-Red event, before coming back from 3-1 down the following day to win 4-3 on the pink following a dramatic final in the 6-Red competition. “I am happy to be back to winning ways,” said Evans. “Coming to the tournament straight from Sheffield [Evans lost 10-7 to Dominic Dale at the professional World Championship qualifiers the previous week] I was on a bit of a downer, but also a bit of a high having competed well. Her success at the weekend has seen Evans finish with a tour-best four ranking titles following previous victories in at the Paul Hunter Women’s Classic and British Open events, but the 32-year-old is targeting further improvement ahead of Q School next month where she will be looking to secure a return to the professional circuit for the first time since the 2010/11 season. Together with friend and world number three Maria Catalano, Evans claimed her third title of the event on Monday as the Dudley duo defeated last year’s runners-up Laura Evans and Suzie Opacic 3-0 to claim the World Women’s Pairs Championship title. 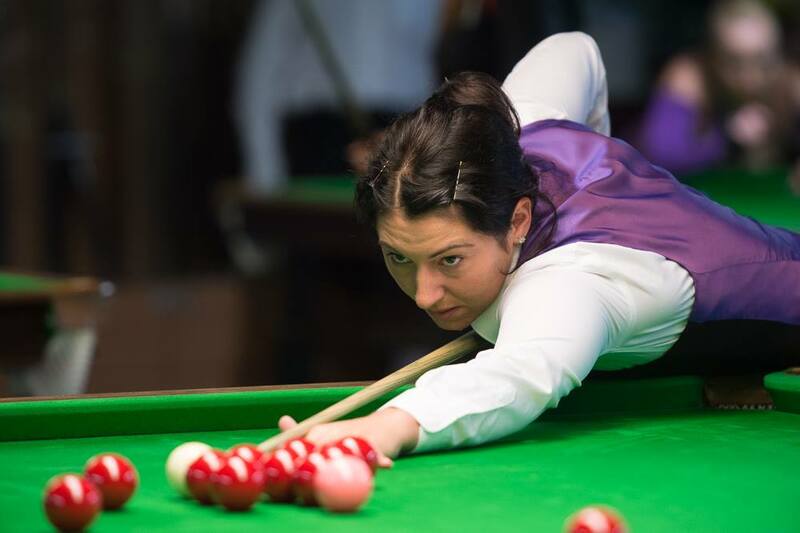 It is Evans’ second victory in the event following her success alongside Jasmine Bolsover back in 2015 and Catalano’s first having previously been runner-up two years ago with Latvia’s Tatjana Vasiljeva. The World Women’s Under-21 Championship was won for the first time by Thailand’s Nutcharut Wongharuthai after the 18-year-old ended the reign of 2017 champion Emma Parker with a 3-0 win in the final. 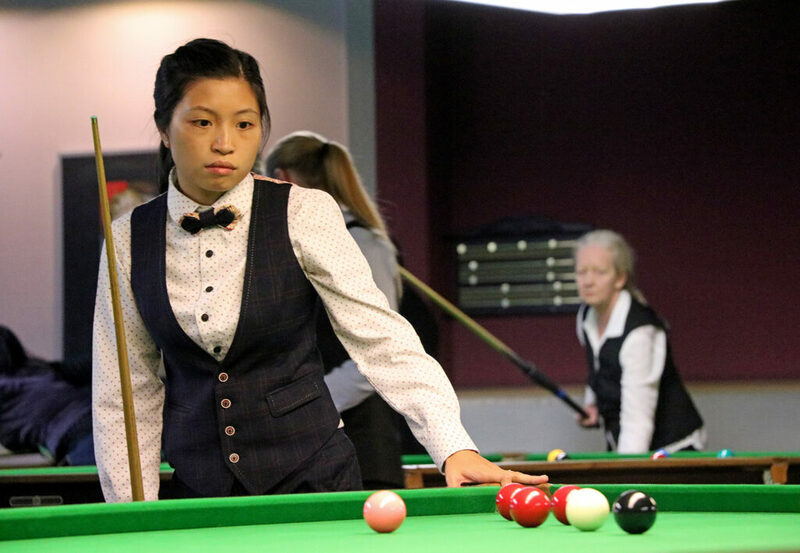 Wongharuthai, who is also known by her nickname ‘Mink’, recently reached the final of the British Open event in Stourbridge and dominated this weekend’s juniors event by taking the title without the loss of a single frame. The victory is her first title at any level on the WLBS circuit and one that will add to her growing reputation as one to watch in the women’s game. 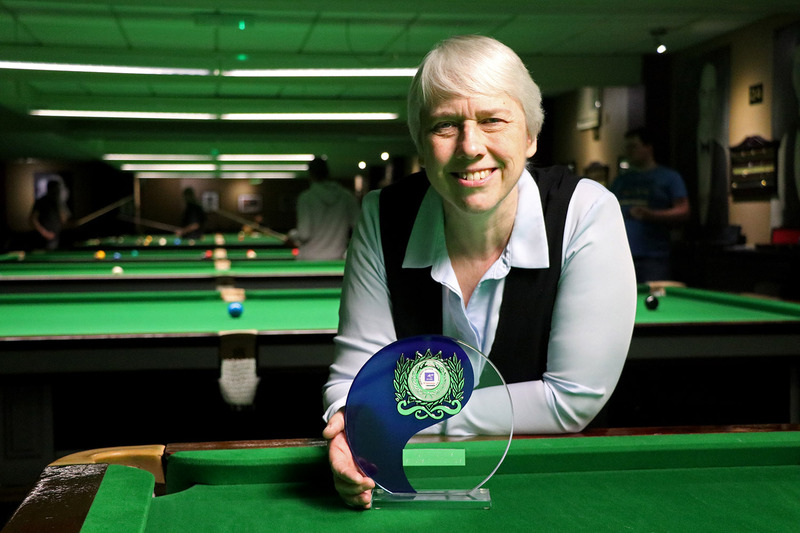 The World Women’s Seniors Championship was won by Jenny Poulter, who completed a clean sweep of Seniors events across the current season with a 3-0 victory against Jackie Ellis in the final. Having topped her group with 2-1 wins against Germany’s Tanja Ender and Maureen Rowland, Poulter ran out a comfortable winner to add to her previous titles this season in Leeds, Gloucester and Stourbridge. View full results from the singles competitions from the 2018 Festival HERE. The final seeding list for the 2017 Eden World Women’s Snooker Championship has now been set following the recent Connie Gough Trophy. This year’s World Women’s Championship will be held at the Lagoon Billiard Room, in Toa Payoh, Singapore on 13-19 March 2017, the first time that the event will be staged outside of the UK in over 20 years. The tournament carries a total prize fund of £15,000, with £5,000 going to the eventual champion. The provisional format for the main event will see group stage matches played over the opening three days, with 16 players progressing to the knock-out stages. 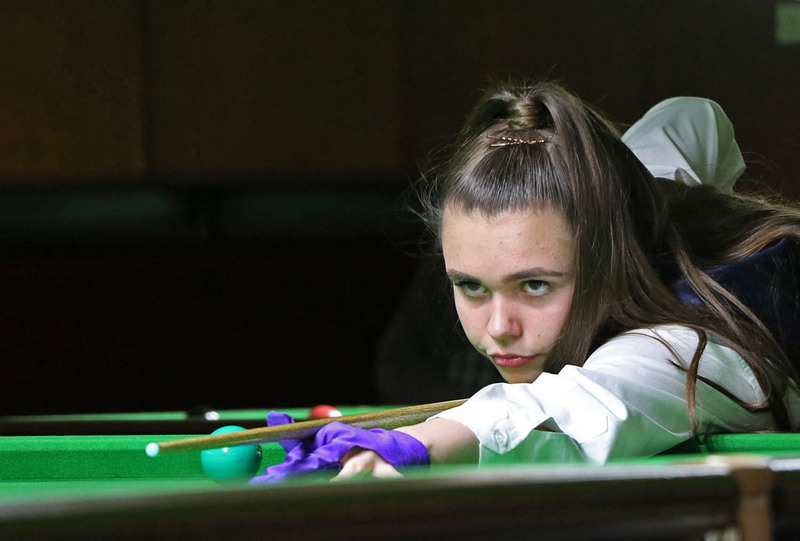 The top eight entered players will be seeded into eight groups, in accordance with the updated world ranking list following the Connie Gough Trophy earlier this month. These players will be guaranteed not to meet during the group stages. The remaining players will be drawn into the groups at random, with the draw to be carried out by representatives from tournament hosts Cuesports Singapore during the week commencing 6th March 2017.